Move over milkshakes. There’s a new kid-favorite beverage in town: fruit smoothies. 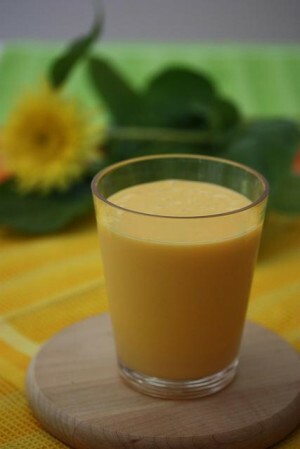 This refreshing and nutritious mango smoothie is so simple, most children will have no trouble whipping up a batch. Offer a helping hand or let the kids whrrrr away on their own! SPECIAL OFFER: SchoolFamily.com readers can purchase No Whine With Dinner at 30 percent off the list price, and get free shipping, by ordering the book here and using this promo code: FS2011. Place the mango, juice, and yogurt in a blender, and blend until well combined.